Squish, stretch and watch it ooze. 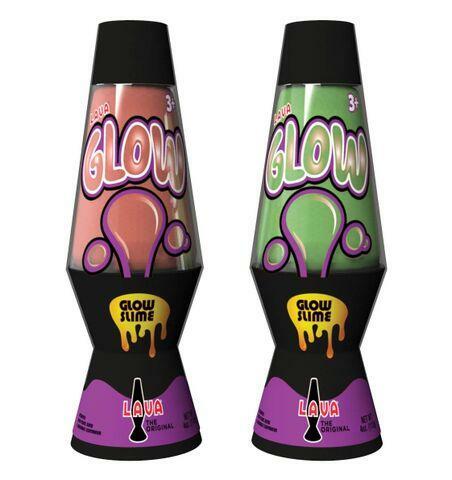 It's classic slime with a Lava lamp twist that glows in the dark! Completely non-toxic and borax free. Won't stain furniture, carpets or clothing. Slap it on the table and watch the slime slowly creep along the surface. Ages 3 and up. Color options: 9LAVAG-Green, 9LAVAO-Orange.